What if experts could tell you that high heels could be safe for your feet. Ever noticed that your friend can wear their 3-inch stiletto heels all day without complains while you can barely walk 3 steps in the same height? Well, it’s not because your colleague has a good pair of shoes. It’s actually because you’re wearing the wrong pair! Every person is different with varying shapes and feet sizes, making it difficult for experts to give a specific number for the number of inches you can add to your heels. Here are few recommendations that they give depending on the structure of your feet. The ankle joint is formed where your leg bone (Tibia) articulates with one of the foot bone called talus. Below the ankle joint is a small fluid-filled cavity called sinus tarsi. 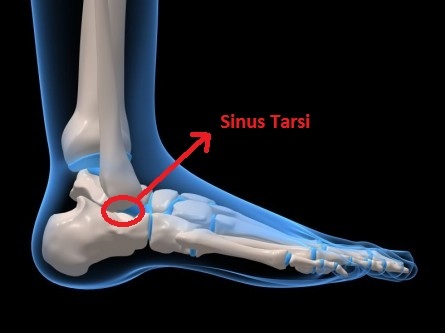 The size of the sinus tarsi determines how much your ankle can move. If the movement of your ankles are restricted due to lack of flexibility in your ankles or due to small sinus tarsi, then wearing high heels would lead to ankle pain. In sitting position, straighten your knees and move your ankle from neutral position downwards to know your range of ankle plantar flexion. This range is from 45-55 degrees normally but may vary from person to person. If any high-heeled pair of shoes puts your feet beyond your normal range of ankle plantar flexion, then you will start with pains in your feet, knees, hips or back. A simple way is to look for shoes with a platform wedge in the front so you’ll get your forefoot elevated as well. Ensure that the heel counter fits you properly and fits well at the back of your heel to prevent your feet from slipping out as you walk. If there is a gap between your heel and the shoe, friction blisters that may form as a result and could lead to Hagland’s deformity. You may also want to pay special attention to the back of your feet when wearing sling-back shoes. Such shoes may rub against the back of your heels, causing pain and inflammation. Proper shoe size is crucial to prevent the tip of your toes from hanging off the shoes in the case of open toe shoes. Notice the shape and the size of the toe box. If it is too big, you risk getting friction blisters from over-clenching your toes in an attempt to prevent it from slipping out of the shoe. This will shorten the soft tissues resulting in hammer toes. Shoes that are too tight or small will also put pressure on your toes and heels, leading to painful hammer toes, corns, and blisters. The pointy stiletto heel puts more pressure on the ball of your foot while wedged heels, which are thicker, distributes your body weight over a larger area of your foot. The wedged heel usually has a skinny center with a slightly wider bottom, providing slightly more stability as compared to the pointy stiletto heel. Contrary to popular belief, wedged heels are not stable. There’s little flexibility for your feet and you have to lift your whole foot right off the ground to walk, stomping your foot back down afterward. The position of the heel is another key indicator. Ideally, it should be located right under the heel bone and not at the back of the foot. 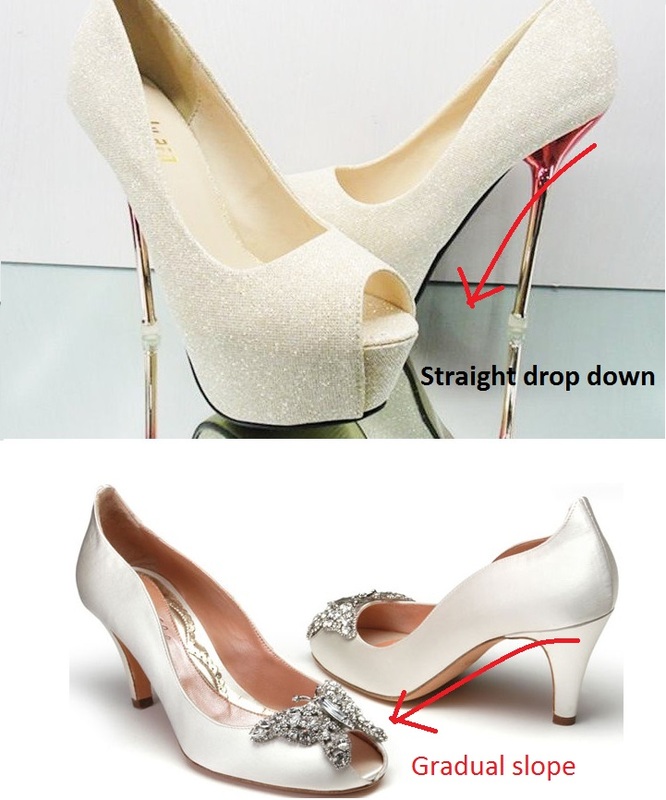 You are going to be thrown off balance if the heel is positioned too far back. Pay attention to the “slope” or “pitch” of the heel. Whether you are at college or working all day, a 2-3 inch comfortable pair of shoes will be enough to support the movements of your ankle and not place it in a vulnerable state for injuries. Kitten heels shoes will not only save you from foot troubles but it will lend a trendy feminine look with your dress. For most women, the recess of the sinus tarsi is moderate. 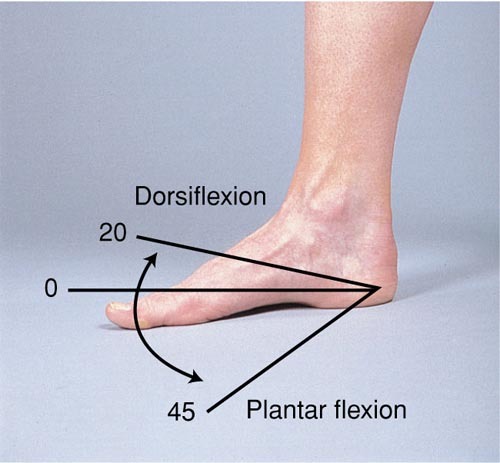 The 2-3 inch heel will have a gradual slope of about 20-30 degrees plantar flexion, therefore, will be more comfortable. Some 3.5 to 4-inch heels will have a straight drop down to the front portion of the shoe putting increased pressure on the forefeet. That is bad for your feet as it overloads the weight on your toes and balls of your feet. Such heels should be worn only occasionally and are definitely not suited for walking as it’s likely to cause foot problems with prolonged usage. Those who have noticed their sole lays flat on the ground may have excessive movements in their foot joints. This condition is known as flat feet and wearing high heels may feel comfortable as they put your feet in an arched position. However, it’s best to avoid excessively high heels for unstable joints. Similarly, it’s better for people with stable joints to wear lower heels, as long as they are supportive to their arches. If you choose the right pair of shoes for your feet, painful foot conditions could be avoided. In fact, you could enjoy wearing your heels all day without any problems. A sound advice would be to also avoid wearing anything too flat or too high for extended hours to prevent any damage to your joints and soft tissue structures. ← Head over heels for Stilettos – Is it worth the pain?